It was more than a year ago when we were writing that OnLive was back with a vengeance, but things haven't exactly improved for the cloud gaming company in that time. 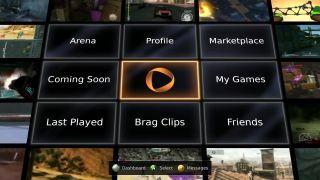 OnLive announced today it will shut down its services and sell some of its assets to Sony Computer Entertainment. Sony bought then-OnLive rival Gaikai way back in 2012, and has since expanded its own game streaming operations with the fledgling PlayStation Now service. PS Now hasn't exactly caught on in a big way - thanks in large part to its absurd pricing - but with its acquisition of OnLive's assets Sony is showing that it won't throw in the towel on cloud gaming just yet. Terms and more details were not disclosed, but the assets Sony's getting include OnLive's global patent portfolio. "These strategic purchases open up great opportunities for our gamers, and gives Sony a formidable patent portfolio in cloud gaming," said SCE Global Business Development Vice President Philip Rosenberg. "It is yet another proof point that demonstrates our commitment to changing the way gamers experience the world of PlayStation." Existing OnLive users get to keep using the service until April 30, after which it goes kaput. Users won't be charged further after today, though, and those who paid on or after March 28 will get a refund.